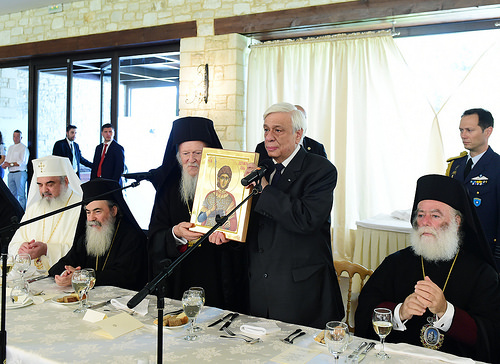 The President of the Greek Republic, Mr. Prokopis Pavlopoulos, hosts a luncheon in honor of the Primates of the Autocephalous Orthodox Churches in Heraklion, Crete. His All-Holiness Ecumenical Patriarch Bartholomew offered a toast on behalf of the Primates of the Local Orthodox Autocephalous Churches, at a luncheon hosted in their honor by the President of the Hellenic Republic, Mr. Prokopios Pavlopoulos. 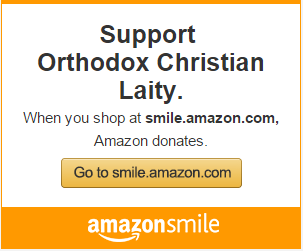 His All-Holiness thanked the beloved Greek people for their prayerful presence and support of the work of the Holy and Great Council, promising that Orthodoxy shall fulfill her historic duty and responsibility. 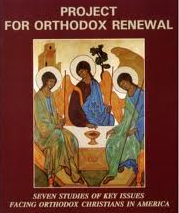 His All-Holiness also noted that, as the First Ecumenical Council held in Nicaea in 325 AD began on June 19, so the Divine Providence has allowed for the Holy and Great Council of 2016 AD to, likewise, commence on June 19, with the Patriarchal Divine Liturgy of Pentecost – calling all in unity.